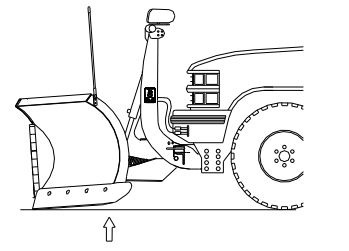 The height of a vehicle can vary greatly causing your BOSS V-plow to sit uneven with the ground. Check your Push Beam height first should you notice your cutting edges are uneven with the ground. 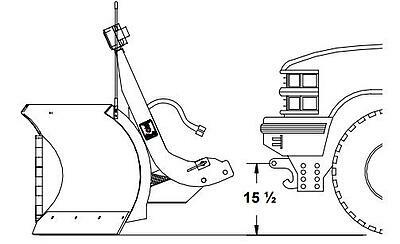 The BOSS HTX V-plow requires a PushBeam height of 14-1/2". The BOSS 7'6", 8'2", & 9'2" XT & DXT V-plows have a required Push Beam height of 15-1/2" off the ground, measured to the center of the pinhole on the Push Beam hook. For the BOSS 10' DXT V-plow, this distance should be 16". Adjusting the Push Beam height typically solves the leveling issue, but in some cases, extra tuning is needed. 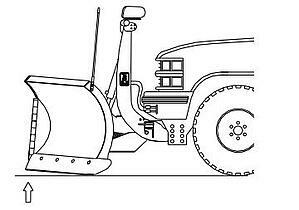 Adjusting the blade attack angle can provide a better scrape when plowing and reduces chatter. 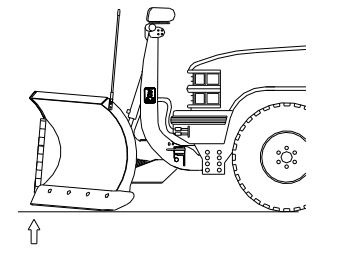 Fine-tuning the attack angle of the BOSS V-plow is done by adjusting the Bumper Stop, which is located where the Pushframe enters the back of the Center Section. There are two reasons you would need to adjust your Cutting Edge. 1. The middle of the plow is too high. It is noticeable by looking at the Snow Catcher. The Snow Catcher in this instance sits off the ground. 2. The wing tips are up and the plow is not sitting level on the ground. Let's take a look at both instances. 1. To adjust the Bumper Stop, use a floor jack to support the Coupler. 2. Loosen the four Trip Springs. Lower the jack to the floor to release tension on the Bumper Stop. 3. Move Bumper Stop forward (one hole at a time) into the Center Section to bring the middle of the plow down. 4. Tighten the Trip Springs. The plow should now be level to the ground. If not, repeat the process until it is level. 3. Move Bumper Stop towards the truck- away from the Center Section (one hole at a time) to bring the wing tips down. 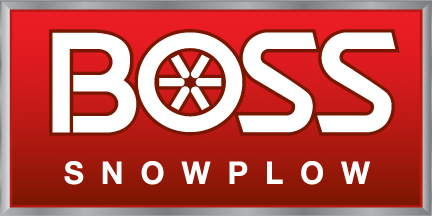 If you have questions while adjusting your Bumper Stop, please contact our Technical Service Team at 800-286-4155 and select option #2, or visit www.bossplow.com to Live Chat with a BOSS team member.